Being a man nowadays means committing to a fast-paced lifestyle. Busy working hours, long haul travelling, family time or even timely night outs fit the bill. îLot wishes to transform your free time into a series of endless happy moments. Using bright fashion prints and soft luxury fabrics, all elements will add to the fun. Whether choosing poolside or beachside, follow the waves of summer life with îLot, the ultimate paradise edition swimwear. Because it certainly feels like paradise when swim shorts not only fit perfectly, feel good but also impress with their luxurious fashion prints. 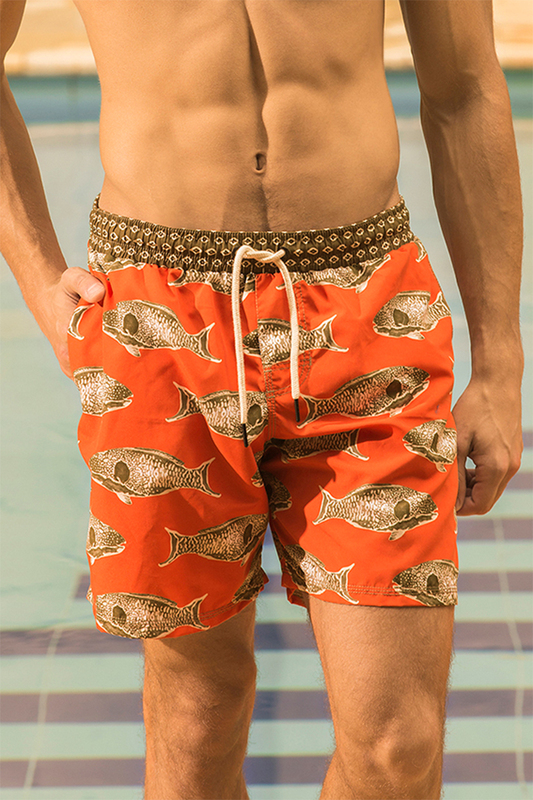 Shorts come in 3 lengths to choose from and numerous bright colours to fix your day, straight away. Trade the îLot brand. Wholesale. Register your interest.